Multi-talented young actors Dakota Lotus and Ruby Rose Turner lead the ensemble cast of "Coop & Cami Ask the World," Disney Channel's new live-action comedy. The series follows the antics of middle-school siblings Coop and Cami Wrather, who co-host a popular online show while balancing life, family and friendship, premiering FRIDAY, OCTOBER 12, on Disney Channel (8:30-9:00 p.m. EDT), in the DisneyNOW app and on Disney Channel VOD (12:01 a.m. local). The second episode will be available immediately following the series' premiere (9:00 p.m. EDT) in the DisneyNOW app and Disney Channel YouTube. 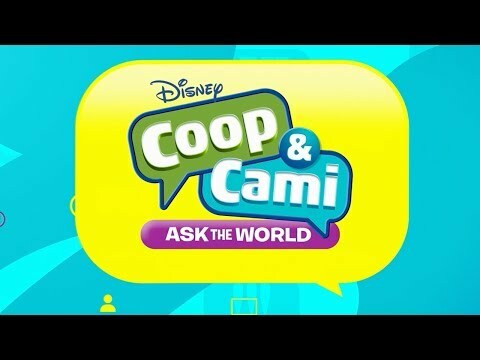 Coop & Cami Ask the World Season 1 was released on Disney 191d ago in the US. Notify me when Coop & Cami Ask the World Season 1 is available.